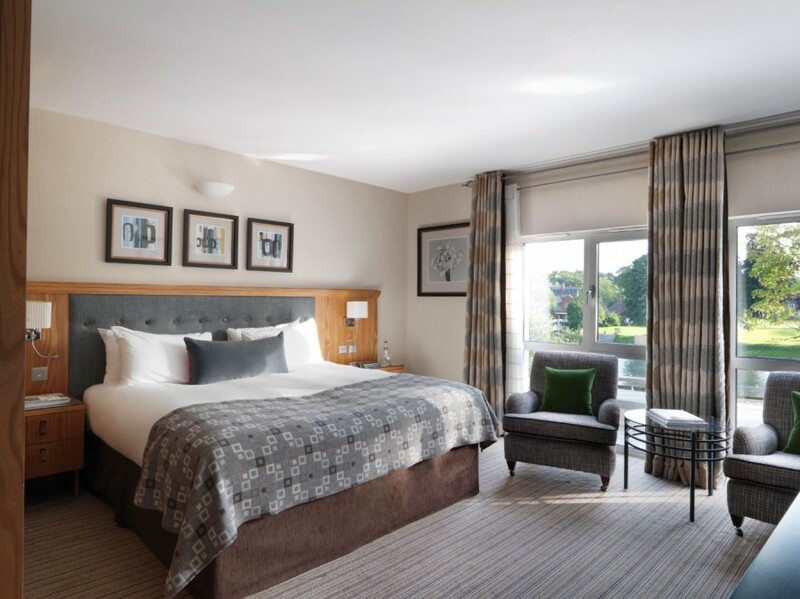 Maybe it was the effects of a “White Night” dry gin and pink Mediterranean tonic water but when I looked out of my bedroom window from the Runnymede Hotel I thought I saw a Jacuzzi by the Thames, full of happy looking people waving their hands in the air. It was only February, surely the day, though sunny, wasn’t warm enough. 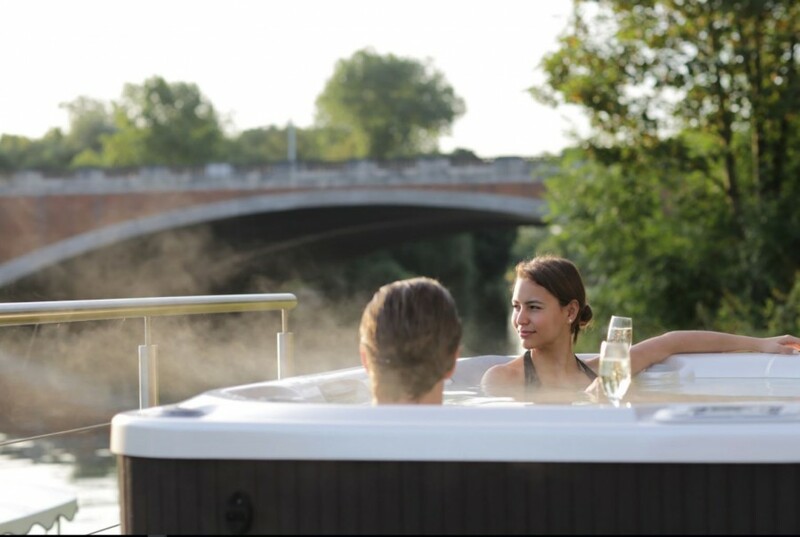 I spoke to Andrew Duggan of the Runnymede who assured me the Jacuzzi wasn’t my imagination – just some guests using the outdoor whirlpool, one of the many different experiences the hotel puts on, making full use of the river. 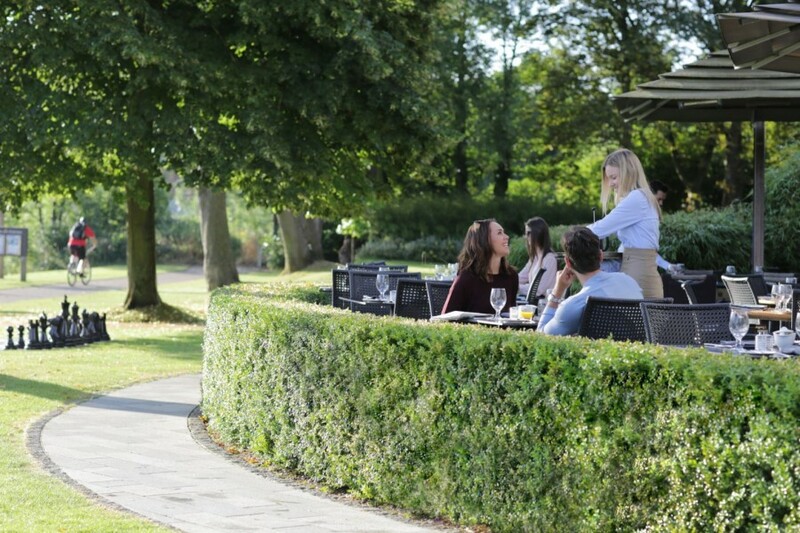 In the summer these include boats to hire – either for personal use or with a crew – barbeques, tennis courts and events in the hotel’s gardens They even provide seed to feed the local ducks, geese and swans.. While all year round there is the use of a large spa and “wigwams” on the lawn that can be hired for private romantic dinners. Just a mile away, along the river bank, is the site which changed this island’s history when 800 years ago; King John was forced to sign a humiliating document lessening his powers – with the sealing of the Magna Carta. Today Runnymede’s association with democracy, limitation of power, and equality and freedom has attracted further monuments and sculptures- and much of this water meadow, although free for everyone, now belongs to the National Trust. So this Surrey based hotel is wonderfully positioned with history on its doorstep and the Thames flowing past its back door. On top of that, it is easily accessible from London being on Junction 13 of the M25. 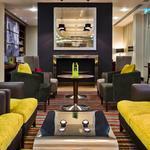 It’s a modern looking hotel with all of the public rooms looking out onto the water and the picturesque Bell Weir Lock. The spa is exceptional, with its own restroom offering complimentary snacks and drinks. I also loved that there was an icy plunge pool and a small sauna inside the ladies changing rooms for those who didn’t want to use the bigger general one in the main spa area. 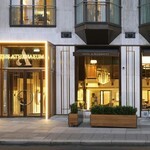 The hotel bedrooms are all nicely furnished and although not big, have large comfortable beds and free unlimited Wifi. Each room also has a Nespresso machine and complimentary water and tea making facilities. 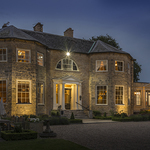 The Hotel’s large lounge overlooking the water, has a good drink selection (including the special gin menu) as well as snacks and beverages of all kinds, while a small part of the room is sectioned off each afternoon to provide more formal afternoon teas There are two restaurants:- The Lock which is the winner of the AA 2017 Rosette Award for Culinary Excellence and is stylish and modern, complete with its own riverside terrace. The food focuses on home-style cooking using fresh ingredients with “daily specials featured on a blackboard. Then there is the informal buffet dining of the Left Bank Restaurant which provides a large selection of cold starters and soup which when I was there was celeriac and chestnut. Also on offer is a slow roast joint of the day and wood-fired fresh fish or marinated rotisserie chicken. The many sweets include an indulgent chocolate fountain or a subtle elderflower jelly, plus a selection of cakes, pies and soft summer fruits. 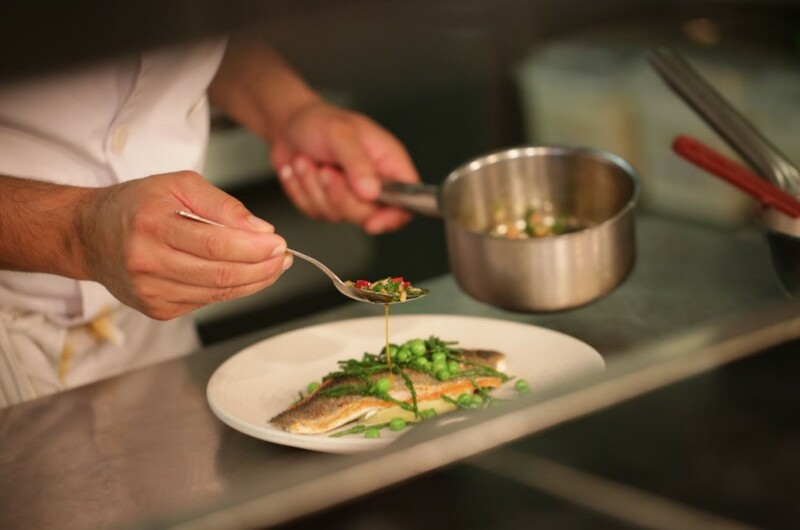 I spoke to a guest at the next table who lived in nearby Windsor who told me that booking up dinner can be quite difficult as the food is both good and excellent value – making the Runnymede Hotel a very popular place indeed. 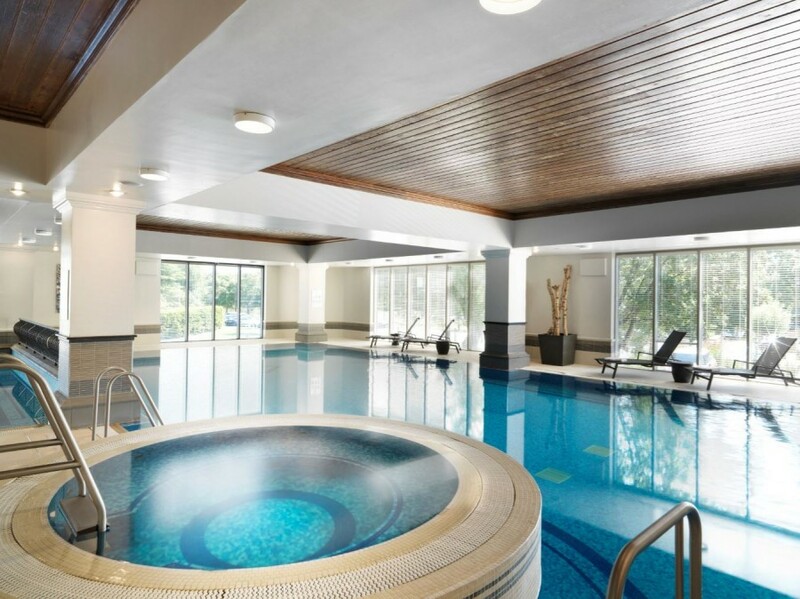 The Runnymede on Thames Hotel and Spa, Windsor Road, Egham, Surrey, TW20 0AG. 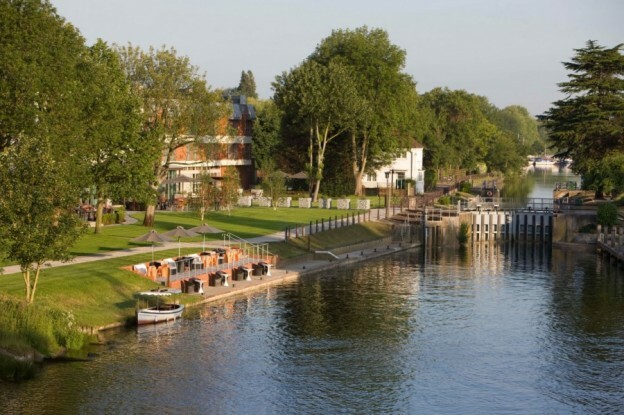 Weekend stays at The Runnymede on Thames from £169 per room per night based on two sharing a standard double on a B&B basis.